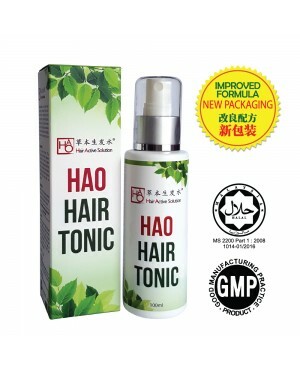 HAO Hair Tonic is an intensive and concentrated traditional herbal hair tonic effectively reduce hair fall, maintain hair density, promote hair growth and prevents growing of grey hair. 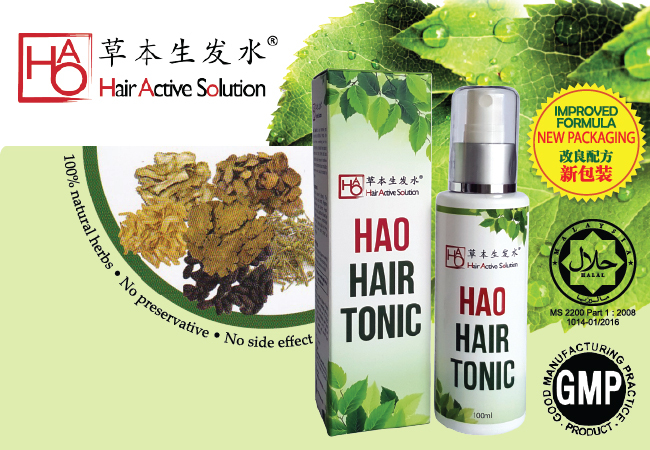 Special recipe of traditional herbs extract improve blood circulation, strengthen the scalp and stimulate healthy hair growth. 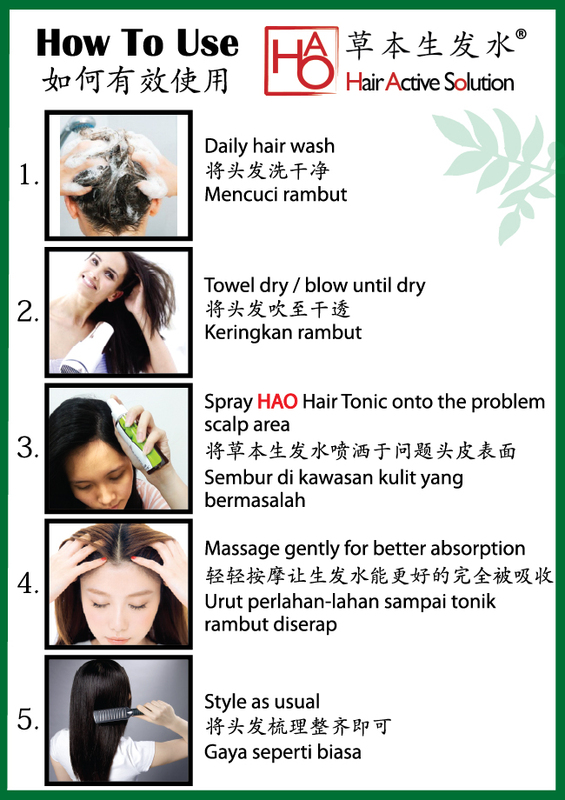 Proven hair growth formula that leads to effective hair growth and it adheres to the stringent Islamic requirements approved by JAKIM. 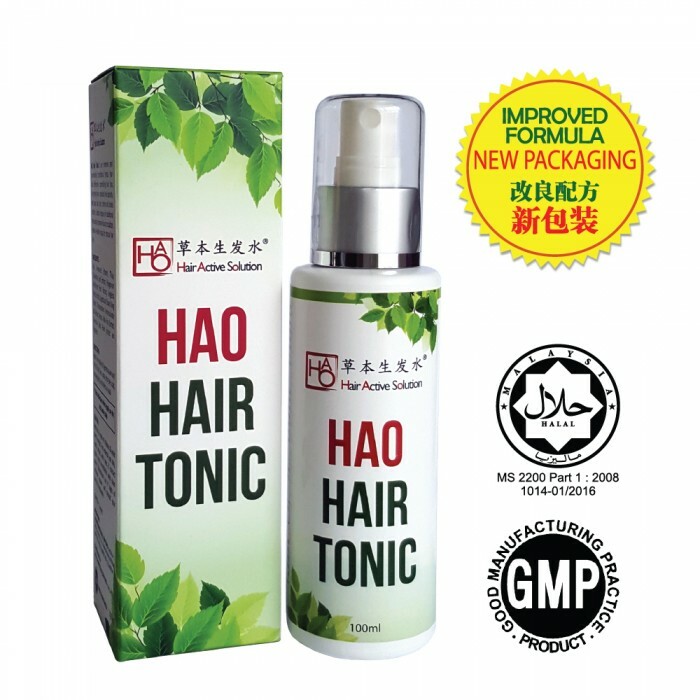 This Halal certified hair tonic contains these main active ingredients that can improve blood circulation, strengthen the scalp and stimulate healthy hair grow. Thuja Occidentalis (White cedar) leaf extract which improves blood circulation & stimulates hair growth. Angelica Sinensis ("Dong quai" or Female ginseng) leaf extract which improves blood circulation volume. 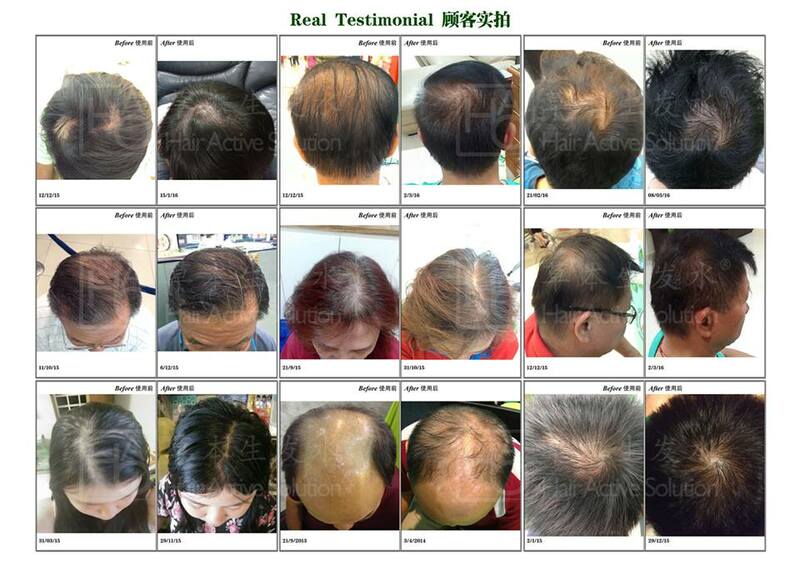 Polygonum Multiflorum (Tuber fleeceflower) root extract which induces hair growth, and turning grey hair into healthy black hair. Morus Alba (White mulberry) fruit extract which is mainly used to get rid of worms, and also contains anti-oxidant properties.